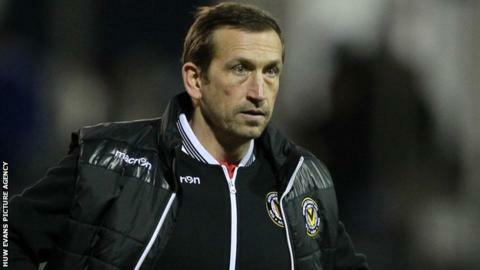 Boss Justin Edinburgh says Newport County have had no contact from Gillingham over their vacant manager's position. Relegation-threatened League One Gillingham are looking for a new manager after sacking Peter Taylor. Edinburgh has led Newport from the Conference to third place in League Two. He says any contact from Gillingham must come through Newport as he is "under contract". Former County defender Jason Perry believes Edinburgh would, in any case, reject the Gills. "I think Justin sees a lot of growth in Newport County so I believe he will stay," said Perry. "Who knows later on if a bigger and more advanced club comes in for him but, at the moment, he seems a very happy manager." Watch Sport Wales this Friday, BBC Two Wales at 20:00 GMT, or on iPlayer for seven days after transmission.